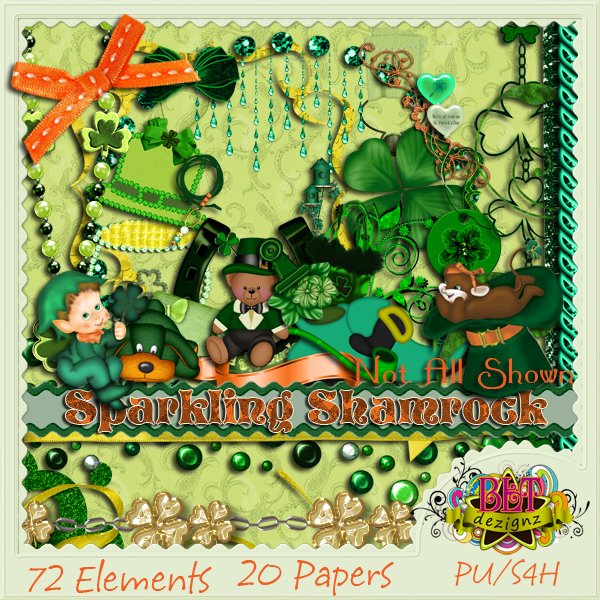 BLT Dezignz: Brand New Sparkling Shamrock Tagger Kit Going in Stores!! Brand New Sparkling Shamrock Tagger Kit Going in Stores!! This is a beautiful Tagger Size Only kit that has a lot of Sparkle and Bling for your St. Patrick’s Day!! Enjoy!!! 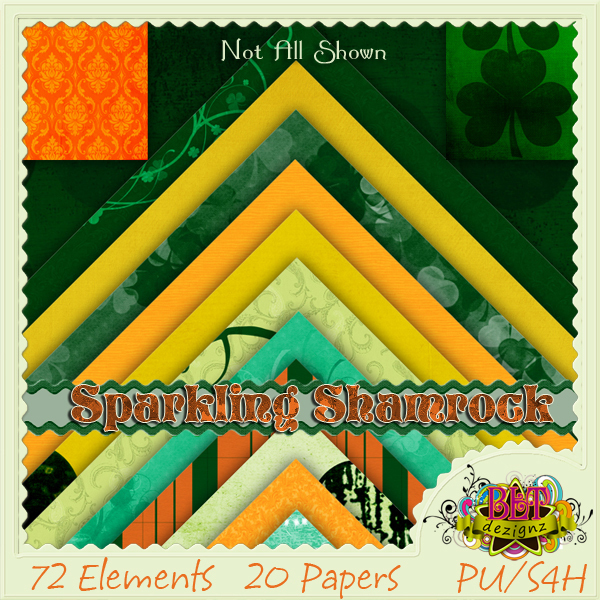 There are 20 900x900 Papers & 72 Elements. All 300 dpi. Not all shown in previews.